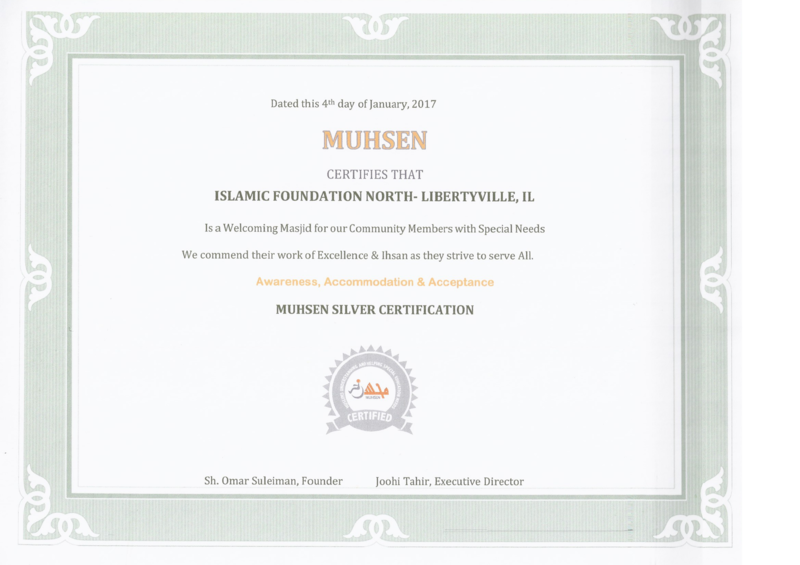 Alhamdillah, IFN is happy to inform that we are now Silver and Gold Certified by MUHSEN (visit https://muhsen.org/masjid-certification/ for more info). In furthering our cooperation with MUHSEN, we have started classes at Sunday School for children with special needs from Fall of 2017 to present. Sr.Sadia Thiryayi is lead of this program and Sr. Muizza Suglatwala is co-lead of this program at IFN. For more information on MUHSEN, please visit www.muhsen.org. IFN is pleased to commit its support to MUHSEN in their efforts to help families with Special Needs. 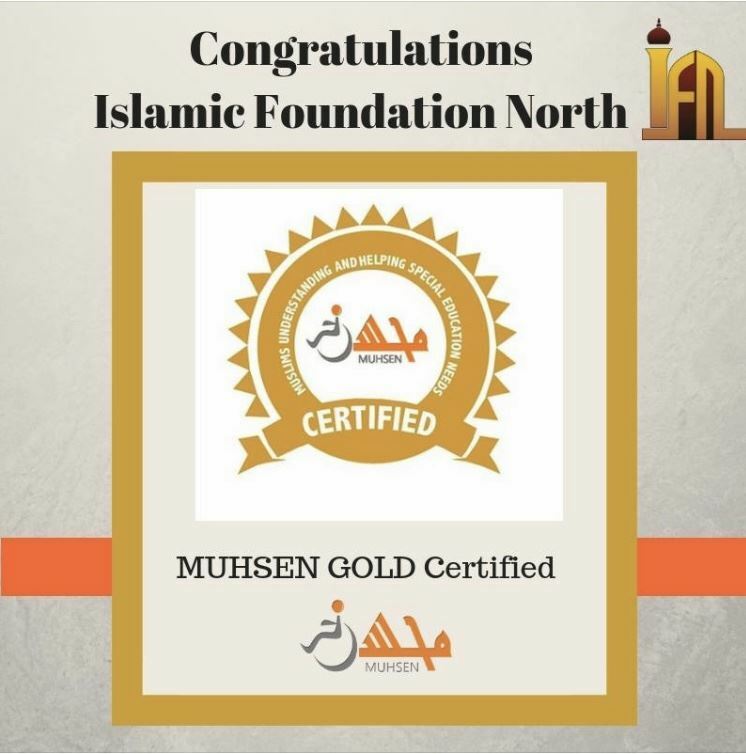 IFN is currently a Silver and Gold Certified institution as indicated from MUHSEN and we will continue to progress in our efforts to make it more inclusive for each and every child with varied abilities. MUHSEN has launched a map to show where there is a special needs individual on a U.S.map on our Facebook page. Insha’Allah it will be an eye opener for this new merger between IFN & MUHSEN. We need Volunteers to help out with implementing some of these services that we plan to offer. Please DO YOUR PART and volunteer.